We provide advanced thermal imaging inspections for homes and buildings throughout the Wellington Region (and around NZ with prior arrangement). 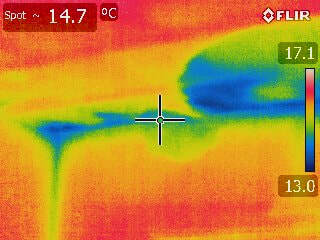 Seek a leak inspections include a top to bottom non invasive thermal imaging assessment. Additional leak and moisture detection diagnosis are carried out using specialist equipment when necessary, to discover and confirm any hidden leaks, moisture, mould growth or heat loss. Our findings are presented in a comprehensive PDF report combining our expert leaky building knowledge and infrared photographic evidence from our advanced thermal imaging equipment. 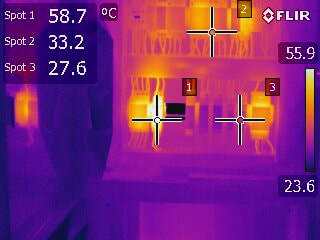 We provide specialist non invasive infrared thermography inspections of all electrical equipment to detect potential trouble and electrical abnormalities throughout the Wellington Region. Seek a leak electrical inspections assist building owners and facility managers in detecting hot spots and loose connections. A thermal imaging inspection will test the switchboards temperature against the temperature of surrounding components to detect variances that usually indicate an electrical abnormality. This allows you to fix issues before they become a problem protecting your assets, the building and any occupants.